When someone lands on your website, it’s important to guide your visitors through the buying journey using an effective call to action (CTA). In order to create an opportunity for your visitor to dig deeper, you need to make an impact. 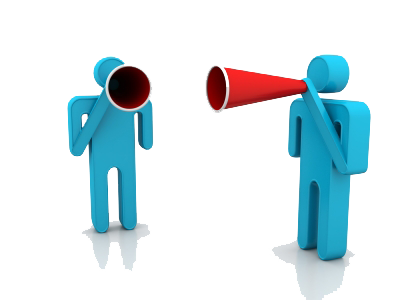 Here are a few examples of companies with effective call to action plans. Want to remember everything? 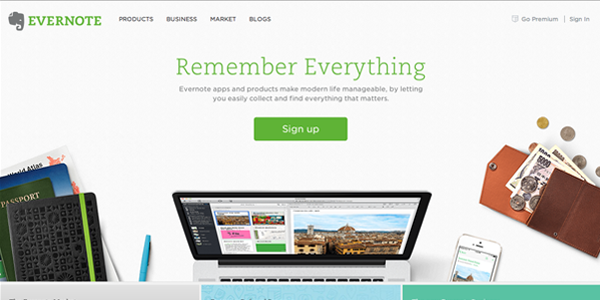 Sign up for Evernote. Immediately you understand the message the moment you land this page. Evernote uses design to make it so simple to see quick benefits of using the app and how to actually sign up to use it. The green color of the CTA button is the same green as the headline and the Evernote logo, which all jump out on a white page. Dropbox truly has the simplest home page out there. Even the graphics on the page are subtle and barely noticeable. The page so simple and uses so much whitespace that the blue “Sign up” button stands out above everything else. Since the CTA and the Dropbox logo are the same color and go hand-in-hand, the viewer subconsciously reads this CTA as “Sign up for Dropbox.” Definitely an effective call to action! To achieve effective CTA design, you need to consider more than just the button itself. It’s also extremely important to consider elements such as the background color, surrounding images, and surrounding text. 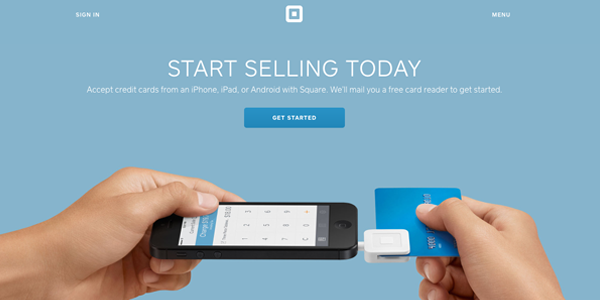 Being mindful of these additional design components, Square (in a single image) showcases the simplicity of using their product, where the hovering “Get Started” CTA awaits your click. The color of the credit card in the image and the color of the CTA button match, which helps the viewer connect the dots of what they’ll get when they click. So what can you learn from the above call to action examples? Create a clear value proposition. Use a highly contrasting design. The best way to figure out which effective call to action best practice works for you is to test, optimize and test again.